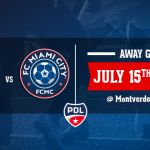 This Saturday April 15th your FC Miami City will be facing new NPSL members, Boca Raton FC. 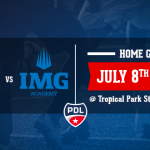 A team that is also playing in the American Premier Soccer League during their very first two seasons since being founded. Boca Raton FC was crowned champion both seasons (2015; 2016) with the APSL. 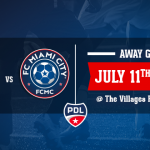 2017 brings a new challenge to the away team and will now encounter a pre-season game against non other than your FC Miami City. Our blues’ starting lineup will probably have most of the players scouted in France during our Tryouts in February. Head coach Wagneau Eloi stated during today’s training that the team is in good shape and ready to come out of Saturday’s fixture with another pre-season victory. He also mentioned the opportunity to try new young players before the beginning of the regular season. Don’t forget, 5:30 pm on Saturday April 15th at Miami Training center Facility! See you there!